Back in 2009, we realized SSIS had a much greater potential beyond being just a solid DB toolkit. We were pioneers in integrating with applications like Salesforce and MS Dynamics CRM. Since then we have added support for 50+ popular applications, accessible via REST/SOAP protocols. These days a plethora of ETL solutions claim they are well-suited for doing application integration. What is often overlooked when choosing such a platform is its reliability under load. When tens of thousands of records need to be processed each night, you don’t want to deal with overnight monitoring and manual correction of issues. By choosing SSIS as your application integration platform, you will get unmatched time-tested stability and rapid and efficient batch processing. To get an idea about what throughput you might expect when using our SSIS+ toolkit which runs on top of the SSIS platform, check here for how 40 million records got migrated in just 10.5 Hours. REST is the de-facto standard for implementing modern web services. 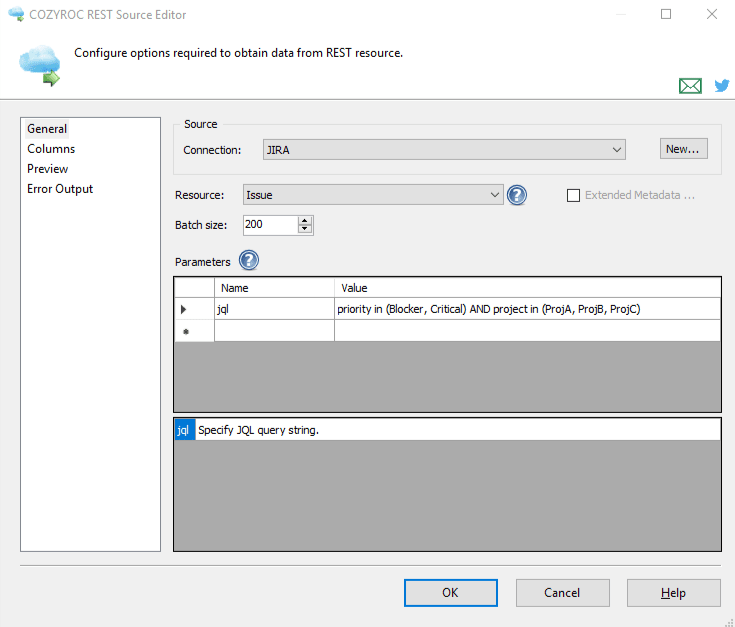 In mid 2016 we introduced an elegant, easy-to-use solution for consuming RESTful APIs in SSIS. We have been steadily evolving and elaborating our framework since then. The unmatched sophistication and flexibility of our solution would enable you to easily handle any requirement when integrating with REST-based applications. Our framework has allowed us to rapidly bring to market 40 integrations with REST-enabled applications. Please feel free to suggest other applications that you would like us to support. We would also encourage you to author your own configurations. If you need a helping hand, please contact us. Many real-world applications need to handle data structures which can’t be represented with a simple flat table. A good example is an invoice record where each record contains a sub-list of line item records. Those child records are also known as composite records. SSIS doesn't provide a good infrastructure for handling that kind of hierarchical tabular data out-of-the-box. Fortunately, we have come up with an elegant way of representing these composite records. Our architecture fits nicely in SSIS and allows processing of all records in an efficient “streaming” mode. It enables massaging the data with all available transformations, so that it can accommodate any project requirements. If you are interested in seeing this approach in action, please take a look at the second part of our NetSuite Destination demo video. Other data integration solutions have complicated pricing tiers that depend on processed data volumes or the number of users or connectors you want to use. Unlike those vendors, the COZYROC SSIS+ pricing is quite straightforward. You pay $599/year for two license keys and a license key is only required when scheduling and executing packages under the SQL Job agent. No caveats, limitations or hidden fees. 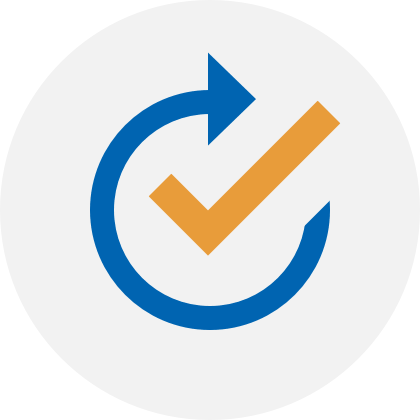 When it comes to SSIS, COZYROC is the gold standard. With the COZYROC add-on suite, we are able to perform 95% of our development without having to write custom code. 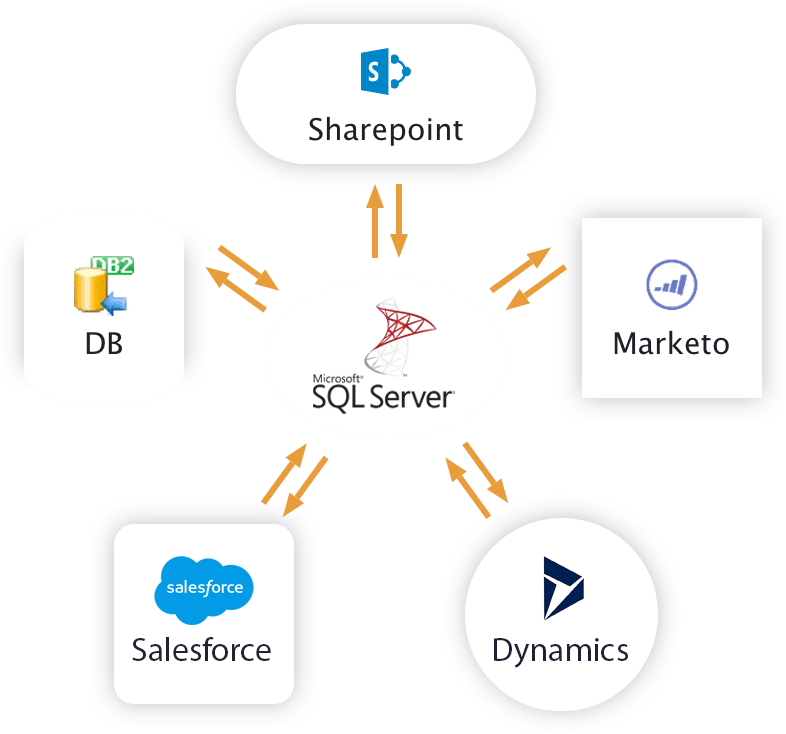 Custom components like the Salesforce and REST adapters allow us to directly and easily integrate data.